Was paired with shree rao for this month's edition of Sshhh cooking challenge & the theme was Ramzan Iftar snacks. 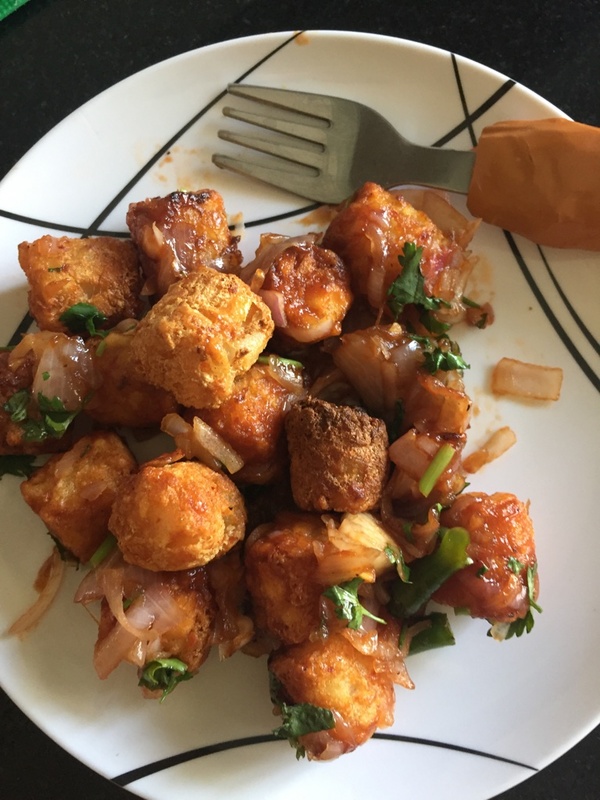 So without much Ado, we have spicy chilli paneer bites - apt for Ramzan as well as this windy monsoon weather we have here. It's sure to be a hit at any party. I scrambled to get photos before half of it was devoured by the paneer - loving kids. I have bookmarked this as a must make..:)..scrumptious! tempting bites kalyani.. looks super delicious.. I like your idea of pan frying the paneer as usually they are deep fried. Next time I make paneer chilly ---no deep frying. Thanks for sharing a wonderful fried snack. My mouth is just watering here, delicious bites. Paneer bites looks n sounds yummmmmm ! Yummy snack to munch at tea time.